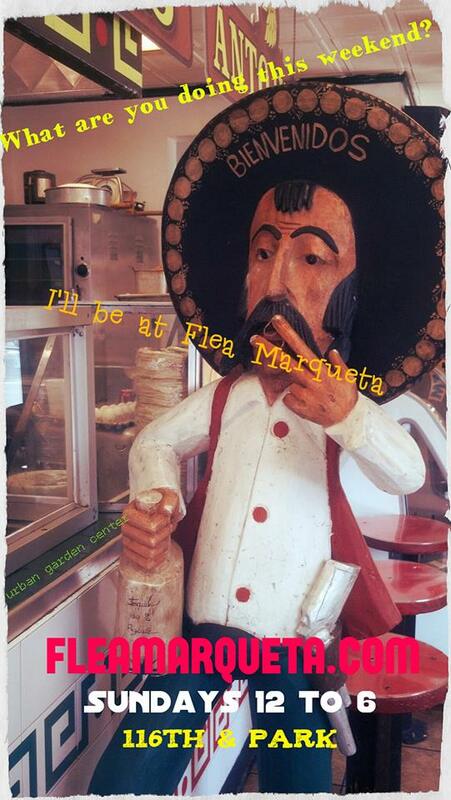 Flea Marqueta starts today June 23 in East Harlem | HarlemGal Inc. This entry was posted in 116th Street, Events, Free!, Harlem, Harlem blogs, Harlem businesses, shopping, Things to do in Harlem, Urban Garden Center and tagged 10029, 10035, 116th Street, 116th Street and Park Avenue, 1607 park avenue, East 116th street, East Harlem, flea market, food operators, Harlem, Harlem Blogs, Harlem flea market, june 23, marqueta, nature, outdoors, Park Avenue., plants, Spanish Harlem, Urban Garden Center. Bookmark the permalink.